Differential tapes are tapes made with a different adhesive on either side. 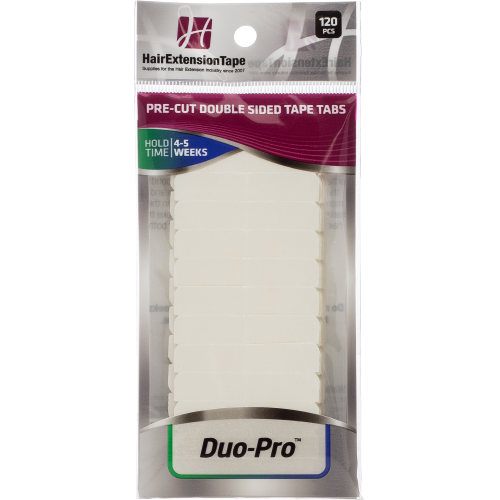 For example, Duo-Pro, the product below, has one side with an adhesive made specifically designed to stick to human hair and one side with an adhesive specifically designed for the hair extension. These can be useful for application where you’re binding two different surfaces together that require different strengths of adhesive.